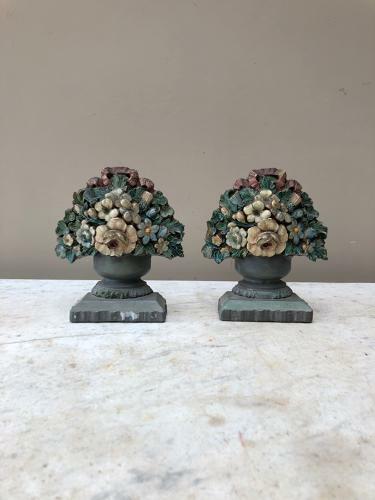 1930s Pair of Floral Bookends. Very pretty 1930s Floral Bookends...Original Paint. They dont have to hold books they look lovely displayed each end of a mantlepiece or similar. There are a couple of cracks on them but all solid and so pretty.